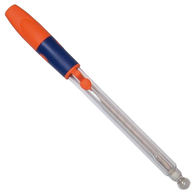 We stock a comprehensive range of PH meters, PH electrodes and PH solutions for a range of food production and preparation environments. 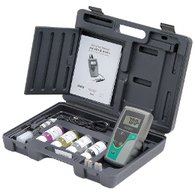 Order handheld and pocket PH meters from the world’s leading manufacturers. Known for their accuracy, reliability and durability, these PH tester products are the last word in superior digital PH metering, and are ideally suited to a wide range of food production and food preparation environments. PH electrodes are used for a diverse range of food industry applications, including in dairy, fresh fish, preserves and jams, sauces and soups, as well as semi-solids. We also supply high quality PH solutions, designed to calibrate PH meters, clean your electrodes, and effectively store electrodes as well. 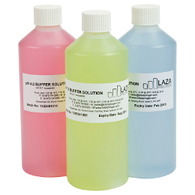 If you require any assistance in purchasing a PH meter, electrode or solution, please give us a call and we'll advise on the best product for your application.